Home / Grooming / Do Poodles Have Hair or Fur? 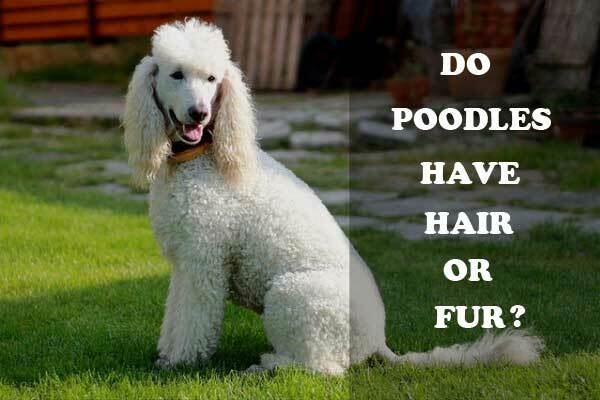 Do Poodles Have Hair or Fur? These are questions we hear very often..
Grooming is one of the top cares you need to take under consideration when it comes to treat your dog in the best way. But having the right approach into bathing and conditioning a puppy’s coat begins with understanding what type of coat it has. Because, the truth is that your canine fellow might be either classified as a dog with hair or one with fur. Both types are classical enough and it is all about your personal preferences and later, with the way you will groom your pet. If we have to tell it straight, the truth is that Poodles have hair. They are one of those lucky puppies – like the Afghan hound, the Havanese, and the Silky terrier, for instance – who are blessed with silky hairstyle. The silky and smooth look of the hair, though, is not the only thing it might be distinguished from the fur. It is believed that dogs with hair, including Poodles, are hypoallergenic. Naturally, it means both: first of all, the Poodle suffers from scalp, coat or dermatological allergic reactions less than any dog with fur. And second of all, owners of Poodles are less threatened to have allergic reactions that those with puppies that are covered with dense fur. This is why many people prefer to get a dog with hair, so they can avoid any allergic problems. But few people know that the allergic reaction from a dog’s coat, though, is not caused by some of its ingredients or agents. both: hair and fur are made of the same proteins (keratin) and compounds which are produced naturally, and the fur or hair texture of any given dog breed doesn’t play any role in whether or not they will trigger an allergic reaction. What makes fur more dangerous to people with allergies is that it is denser and thicker than hair, which means that shedding is more salient. Are there any other benefits the Poodle can brag about due to the fact that it has hair, but not fur? besides less shedding – especially in winter – the Poodle also suffers from dandruff more rarely than a dog with fur. Fur has thicker construction, because it has several layers and it is denser, while hair is simpler to be taken care of. Another difference between hair and fur, when it comes to dog’s coat, on the other side, is the growth phase. Thus, any Poodle owner will tell you that its puppy experiences much longer coat growth phase. Indeed, hair is typical with a more extended period of anagen, which is the first phase of coat growth. During this phase, the follicle becomes active. Later, when this long hair growth phase ends, the catagen starts and it is known as a traditional transitory phase, when there is certain growth, but the sheath of the root bonds to the hair. Telogen – the inert stage – is also a phase with no growing signs, but unlike catagen, it does not have any additional helping functions, including to help the hair to dye off and to let a new one to appear. 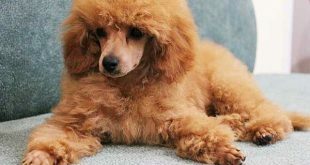 Last, but not least, during the exogen phase shedding begins, but as we have already said, Poodles experience it in a short period – like all puppies with hair, but not with fur. Even though hair and fur are almost the same thing, when we see a traditional Poodle next to a dog with quite thick fur it becomes obvious how different they are, aka how different an owner’s set of cares and treatment approaches should be. So make sure to groom your Poodle properly and to pay attention on the best practices in taking care of your puppy’s hair.